Do you ever feel like a hamster on a wheel and you just want to get off for awhile? Do you want do something fun with your family, friends, or students that doesn't require a lot of preparation? Do you have a child who's struggling with math or whose attention span you wish would be a tad longer? Do you want to keep your brain healthy longer? Do you want to make something with your own hands right now? Origami may be the answer. If you're already of a fan of origami, you know the pleasure it brings you. Here are some ways to expand its benefits to your circle of friends, family, and co-workers. Doing origami gives your mind and your psyche a much needed break. The process of folding paper forces you to turn your focus to something else, at least for a short time. Take some stressed-out co-workers to lunch and teach them to make the crane. Count the miles of smiles…including your own. As reported in the documentary, Between the Folds, Israeli teachers have discovered doing origami improves focus and calmness in children. Our own observations of young children in our workshops bear this out. They are immediately fascinated by each transformation of the paper. Try this experiment: Don't tell your kids what the finished model will be. Notice the effect on their interest and attention span. A good model for this is the goldfish. 3. 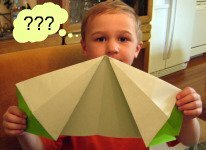 Strengthen Math Skills Origami has been shown to enhance children's skill and interest in math. Its hands-on nature makes math more fun. As you do origami with your kids or students, ask them to describe the different shapes the paper is taking through the process. Don't be surprised when they see things you didn't and start making up their own models. 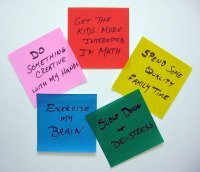 There's a growing body of evidence that exercising our minds can delay or prevent the onset of dementia in later life. "People can improve their odds of remaining mentally alert by keeping their minds engaged. Learning a new language, picking up a hobby and maintaining a rich network of social connections are all ways to keep brain neurons firing." Learning a new origami model makes you think. And when you're done, you have something you created with your own hands. You can enjoy it yourself or share it as gift to someone else. Doing origami with others adds the social aspect. Is there a difficult model you gave up on? Try it again. Slow down and really pay attention to each step. When you've mastered it, teach it to someone else. And, consider sharing a photo. You might learn some additional photography and computer skills as a bonus! Find out more. Sometimes doing something quick and easy is what you crave. Put down the knitting for a few minutes and make some origami for someone instead of buying a card. Why not grab a sheet of paper off your printer, pick something from the Model Library, and enjoy the benefits of origami right now? Sign up to be notified new Origami News articles or find out more.